Why do agents continue to refer their clients to PEAK Escrow, year after year? While everyone knows it’s the parties to a real estate transaction that choose the escrow company, they most often rely on their real estate agents to help them with this important decision. Real estate agents continue to bring their business to PEAK Escrow, not just because of the great service we provide their clients, but also the peace of mind we provide the agents. PEAK Escrow realizes that a happy, satisfied client makes their job that much easier. 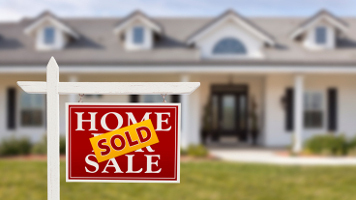 And if they don’t need to worry about the escrow process, then they can focus more on what they’d rather do, which is find the next transaction and help connect the next buyer and seller. Sticking to your schedule. This allows you to receive what you need, right when you need it. Maintains qualified status with state regulators and oversight. As the requirements and rules change, PEAK Escrow stays on top of it to make sure we have all our licenses, bonds, and insurance in place. We pick up our phone. Over the years, we have learned that sometimes being a phone call away is all that’s necessary to provide the most effective customer service. Over 25+ years of experience in the business. Through the many years of being in escrow, we have been developing and refining the process of closing an escrow as efficiently as possible. Handling clients with care. Sometimes quick and easy doesn’t cut it. In situations like these, we at PEAK are here to assist with any problem you face in the escrow process. Continuous education. To stay on top of our game, we participate in ongoing education within our industry to ensure our processes are current with the continuous changes in regulation.